We Use Low Sugar Recipes Because Less Sugar Means More Flavor! All Natural Pest Control Methods! 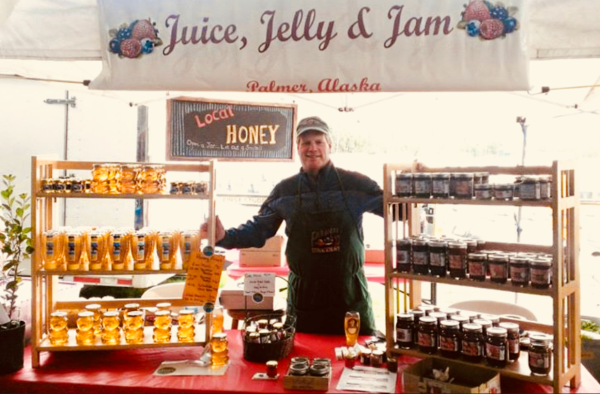 That's me there on the right...Set up at the Alaska State Fair Farmers Market. 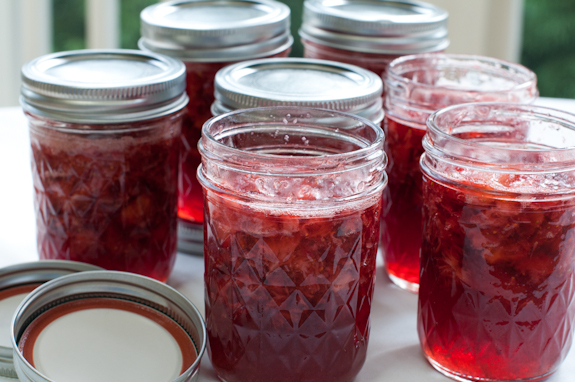 Besides jams and honey, I also make a Savory Currant Sauce, gummy-like candy (think Cotlets), ice cream toppings, and sell a good amount of fresh fruit... Red and black currants, strawberries, apples, sour cherries, honey berries (haskaps), saskatoon berries, and rhubarb.